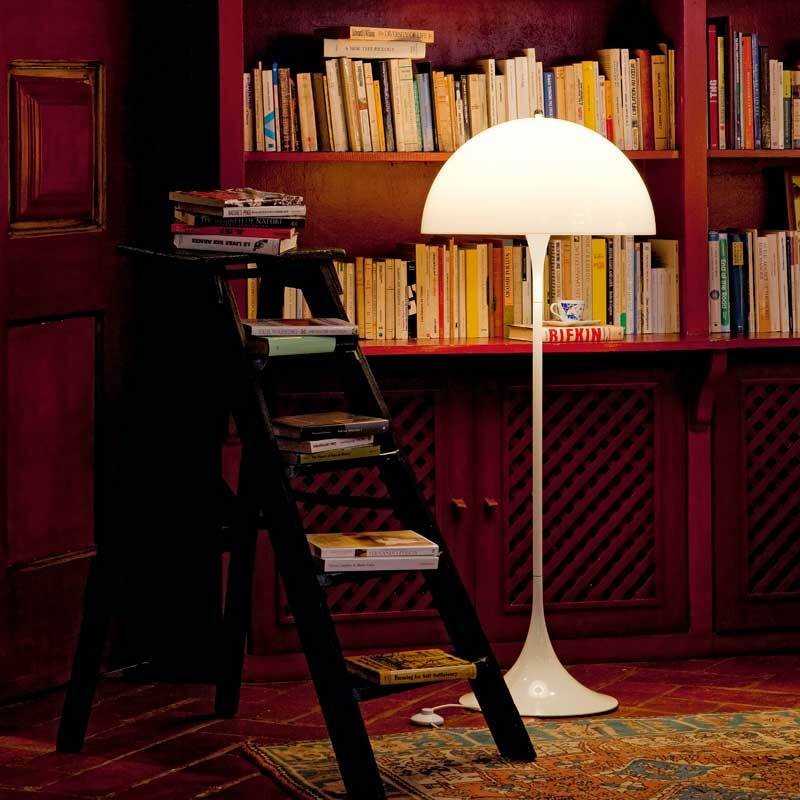 The design for the Panthella floor lamp was designed by the Verner Panton in 1971. The hemispherical diffuser in opal white acrylic radiates the light downwards. However, most of the light is diffused into the room through the entire surface. This creates a comfortable, uniform lighting atmosphere. The surface is noblely shining and supports the concept of a holistic lighting object. The long, narrow rod of the lamp opens into a trumpet-shaped base. Originally the lamp was designed in many different colours. Today, Panthella is only available in a simple white that emphasizes the timeless character of the design classics.